Valletta 2018 film, Ħabbilni Ħa Nirbaħ, will be showing for the general public at the Embassy Cinemas between the 21st November and the 18th December 2018. The film — directed by Mario Azzopardi, produced by Michael Kissaun and written by Simon Bartolo and Mario Azzopardi — is written in Maltese and is based on a theatrical performance of the same name. It tells the story of four young girls in secondary school (played by Jasmine Farrugia, Michela Galea, Sarah Micallef Muscat and Shelby Aquilina), who make a bet on which of them manages to get pregnant first by well-known actor Nate Cross (played by Jan Zammit). The film follows their story, and shows how their irresponsible actions only result in betrayal, extortion and pain, both for them and for those close to them. Various well-known local actors also feature, including Frida Cauchi, Larissa Bonaci, Carlos Farrugia, Laura Bruno and Kim Dalli. 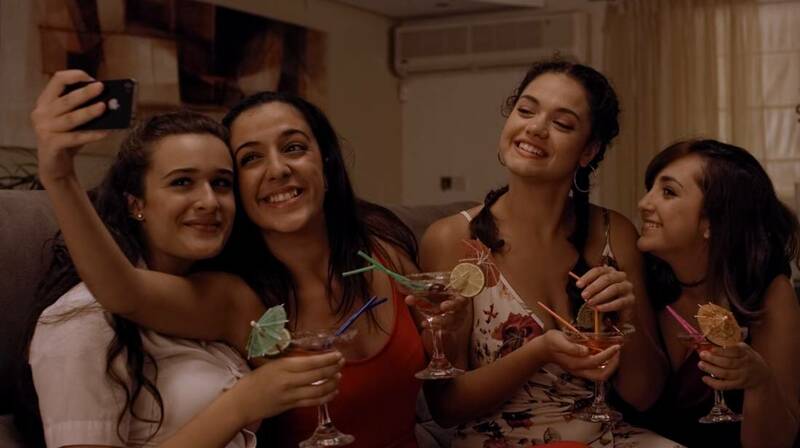 Ħabbilni Ħa Nirbaħ made its debut in Malta on the 2nd of November 2018 at the Embassy Cinemas in Valletta. The film also made its international debut at the Edmonton Film Festival in Canada in September 2018, when it participated in the festival’s official competition. For more information on upcoming screenings visit embassycomplex.com.mt/film/habbilni-ha-nirbah. Valletta 2018 Premium Partners: General Soft Drinks Co. Ltd., Coca Cola, Bavaria and Bank of Valletta.